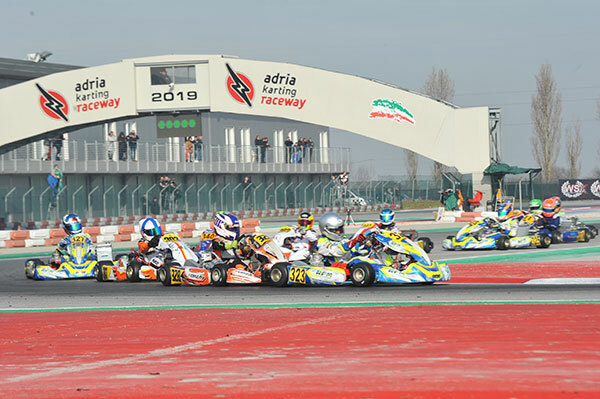 James Wharton is on top of the OK-Junior category in Adria having enjoyed a clean sweep of the heat races at the WSK Champions Cup overnight. Heats for class OK were quite eventful for the drivers that are the favourite in the title quest. The British driver Taylor Barnard (KR-Iame-Bridgestone), who posted the quickest time in qualifying and won the first two heats, struggled a bit today as many others that had a lot of hiccups and experienced up and downs today. Barnard had to stop in the closing stages of the last heat, while the Dutch Dilano Van T’Hoff (Exprit-TM) won the third heat recovering a lot of places lost yesterday in the first race. The Italian Lorenzo Travisanutto (KR-Iame) had to end the second heat early after the important P2 scored in the previous race. The final balance is currently smiling to the Brit Harry Thompson (above, FA Kart-Vortex), who secured a pole position start for the Prefinal to be held tomorrow morning. The Scot Dexter Patterson (KR-Iame) will line up next to him, while the Italian Cristian Comanducci (Tony Kart-Iame) and Van T’Hoff will follow them in the second row. After posting the quickest time in qualifying, the Australian James Wharton had the upper hand winning the four heats he took part in. This granted him a pole position start for Prefinal A. Next to him, the Dutch Thomas Ten Brinke (both on FA Kart-Vortex-Vega) won two heats. 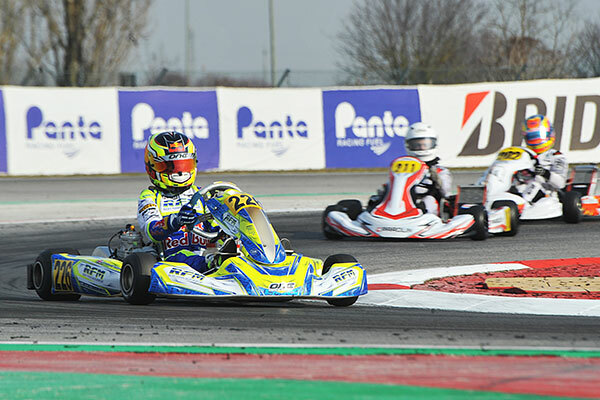 Three wins allowed the Italian Andrea Kimi Antonelli (KR-Iame) to start Prefinal B from the pole position, where he will be followed by the Irish Alex Dunne (Exprit-TM), who claimed one heat. Qualifying of 60 Mini involved a total of 15 heats. 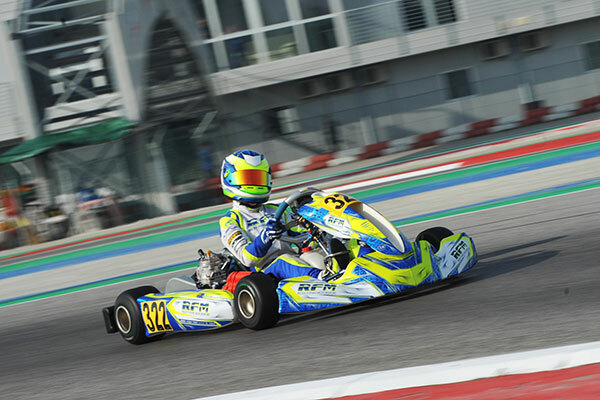 The Brit Coskun Irfan (Parolin-TM-Vega) has been the strongest so far winning all 5 heats he took part in. 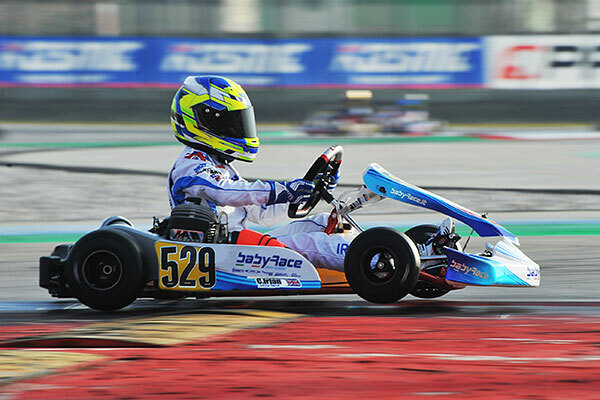 This handed him the pole position of Prefinal A. Arab Emirates’ Rashid Al Dhaheri (Parolin-TM) will start next to him. The Jamaican Alex Powell (Energy-TM) won three heats and will, therefore, start Prefinal B from the pole position, while the Slovakian Lukas Malek (Parolin-TM) will complete the front row thanks to a win.